Of course, we saved the best — and by that, we mean the sweetest — for last! 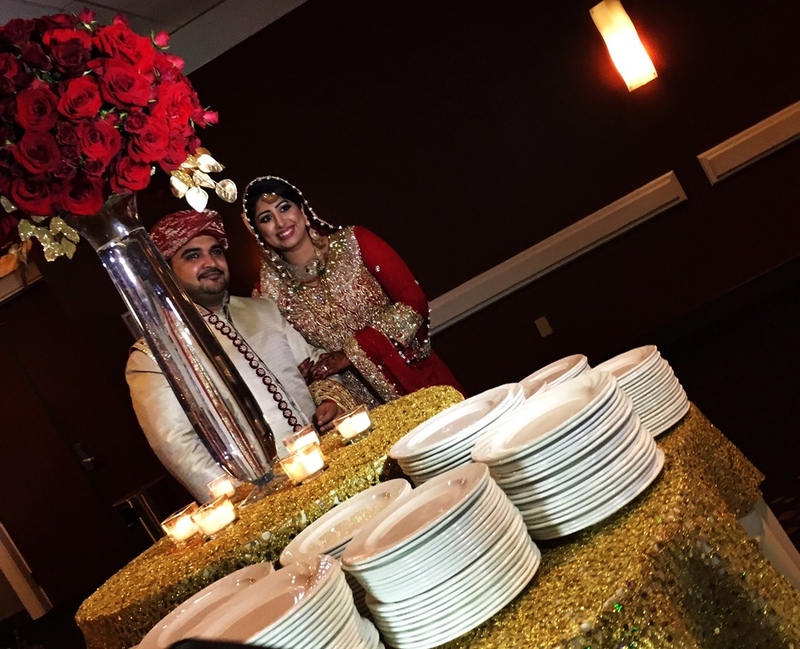 We bring you the Dessert Lounge for Ali & Saba's wedding. The bride insist on matching her gown, which came to life with a traditional Pakistani - modern flare. Created 1,800 desserts for this beautiful wedding and was allowed to enjoy a little Christmas Eve with the wonderful florist, KVera Events and the DVS Team. We used two 8 foot tables decorated in a mixture of round, gold and white stands and cylinder vases, which carried red roses and floating candles inside. The freshly baked desserts were accented with freshly cut flowers, which matched the florals seen across the room, in the lounge. Like what you see? Then be sure to follow Deja vu Sweets on Facebook, Pinterest, and Instagram, for all the latest updates and ideas for your wedding and events!